Skip sweaty bike tours in favor of a leisurely glide along the riverside on this tour of the Tagus River in Lisbon. 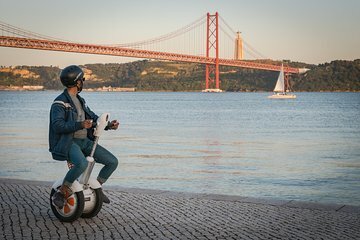 Maneuver from Cais do Sodre to Belem on an easy-to-use sitgo—a seated Segway—on a tour that's sure to please. Learn about Lisbon history as you glide by main sights such as Belem Tower and the 25th of April Bridge.